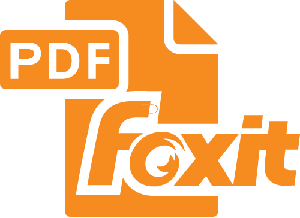 Now if you are a Premium user or Corporate business user of Prot-On you can open your protected PDFs directly from Foxit Reader and you will be able to edit the content without losing the protection. 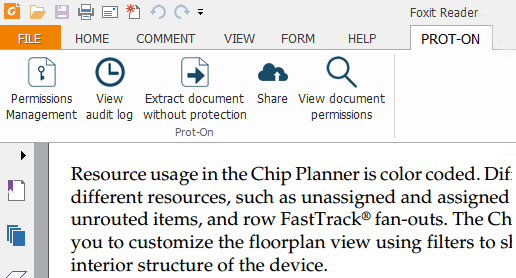 – When you open your PDF with Foxit Reader you will see a new tab labeled “Prot-On”. On selecting it, you will be able to protect your document from here, without having to close it. – Once protected, functions will be enabled to allow you to manage the document’s permissions, consult the activity log, share it while protected, etc. 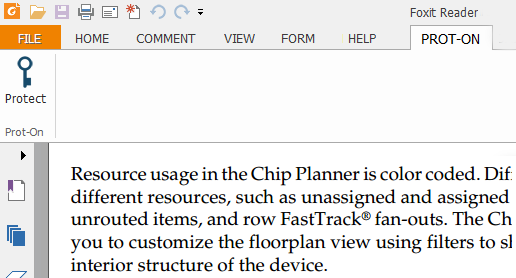 Foxit Reader is available only for Windows users. 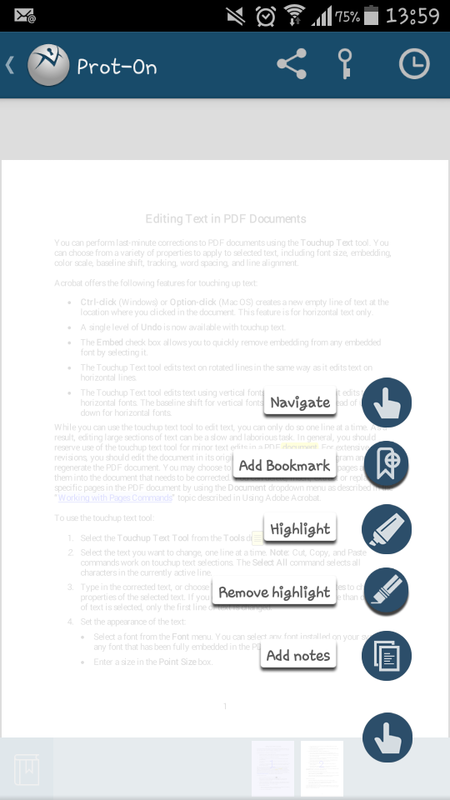 If you use Mac, Android or iOS and you are a Premium or Corporate user, you will also be able to use a new PDF viewer which you can use to underline text, make notes, add bookmarks, etc., without removing the document’s protection.